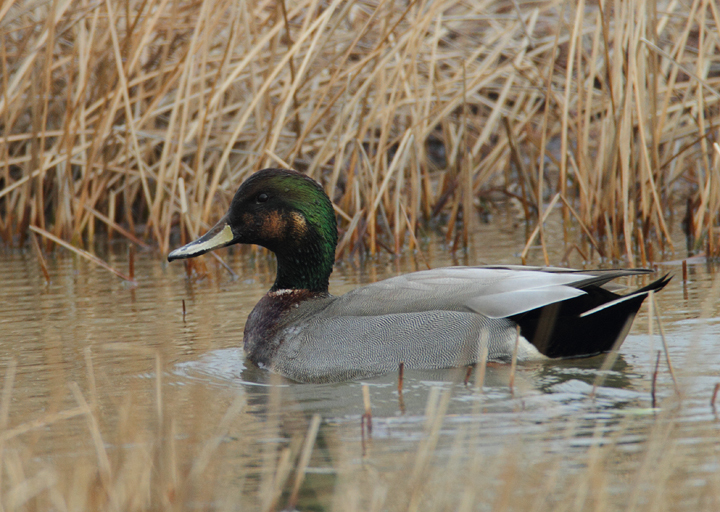 Coastal Worcester County, Maryland in late January. Last updated: 1/26/2010. 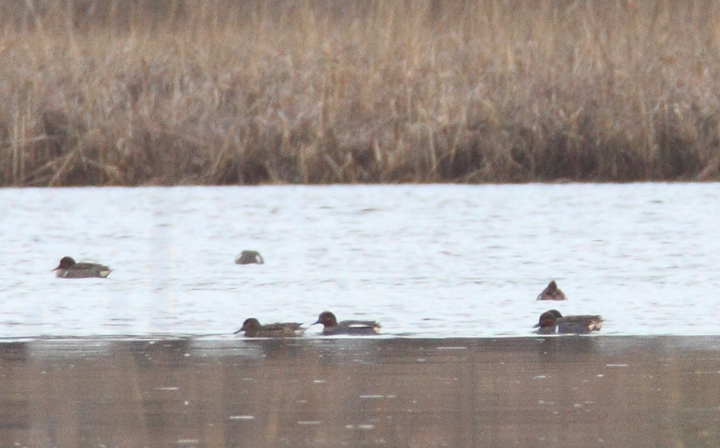 Above: The highlight of the weekend was a drake Common Teal, the Eurasian counterpart to Green-winged Teal, amidst nearly 600 Green-winged Teal at Truitt's Landing, Maryland (1/24/2010). This is a very rare visitor to the state, with seven or so other reports (some pending review) in the last 10 years. 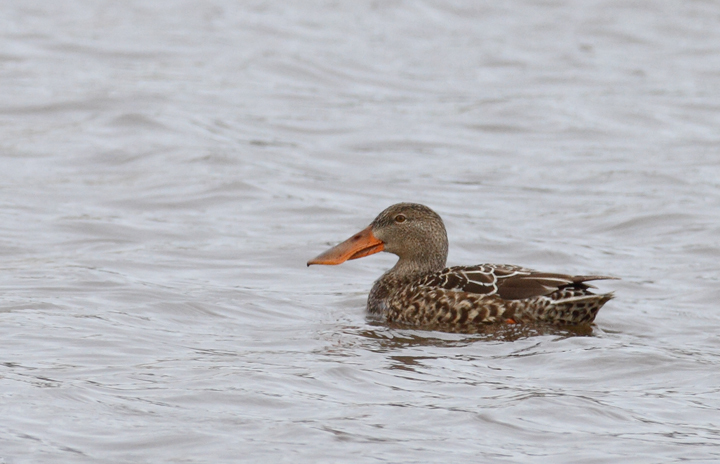 Found by Dan Small and me, it was an exciting first in the U.S. for both of us. Click to view the slightly larger, full-size image. 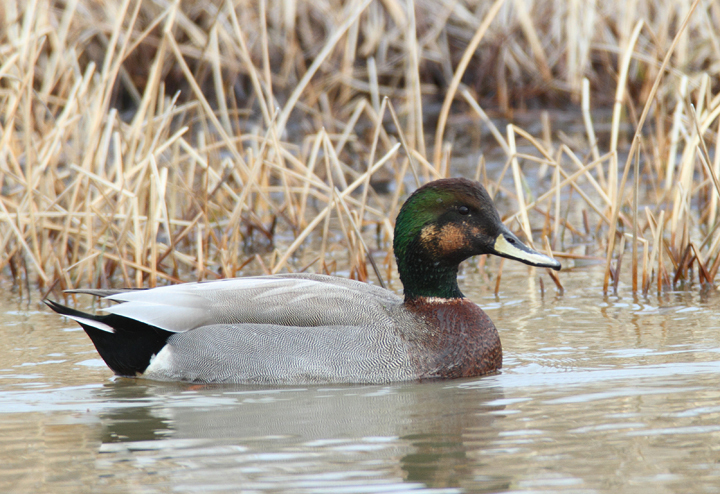 Above and below: A presumed Brewer's Duck, a striking Gadwall x Mallard hybrid, near Ocean City, Maryland (1/24/2009). 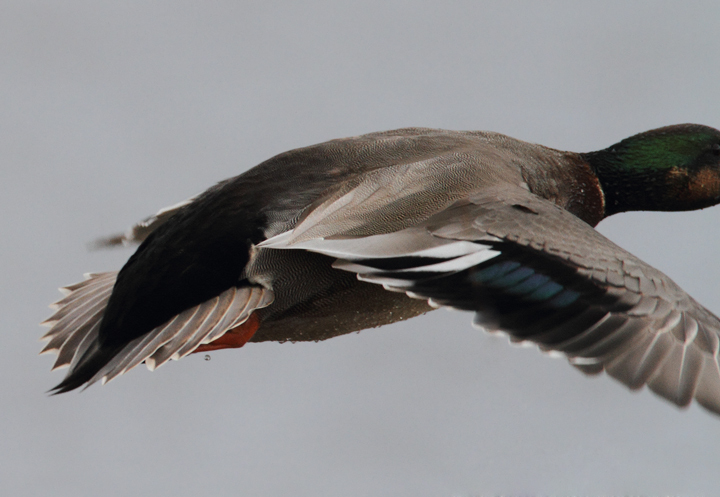 Originally found and documented by Mikey Lutmerding..
Below: A documentation shot of Gadwall x Mallard hybrid wing pattern. 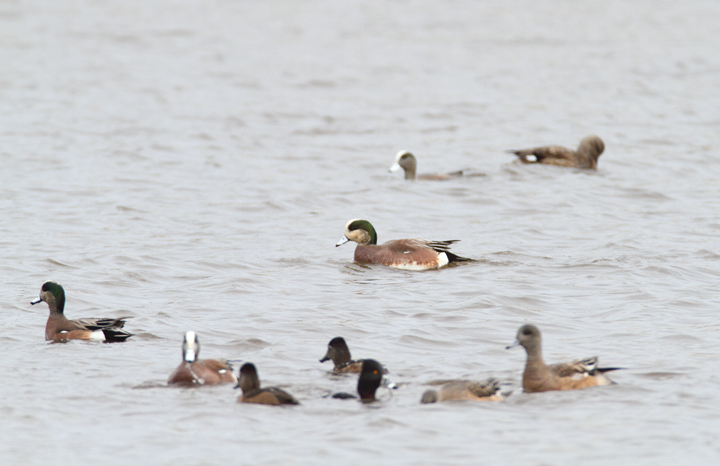 Below: An unusually pale-faced drake American Wigeon near Ocean City, Maryland (1/24/2010). 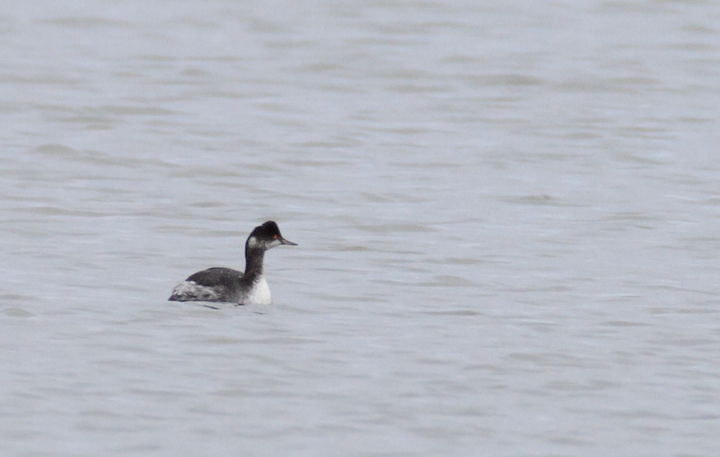 Below: An Eared Grebe at 33rd Street in Ocean City, Maryland (1/24/2010). 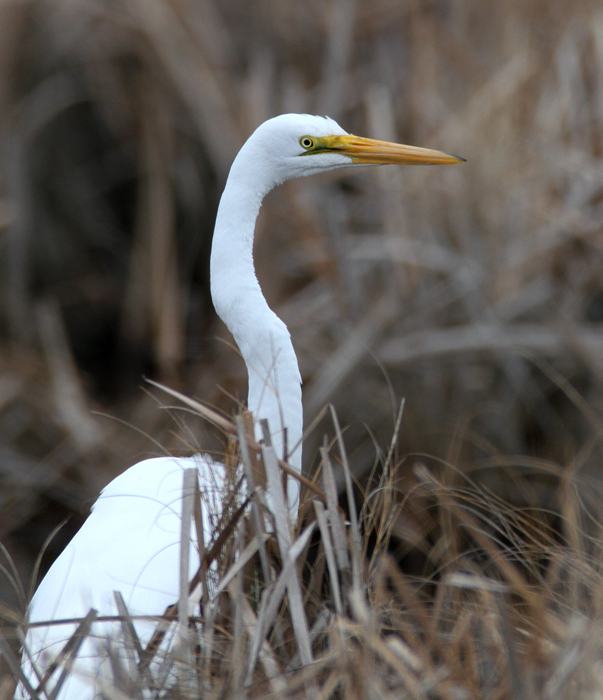 Below: A Great Egret - scarce in winter - in Worcester Co., Maryland (1/24/2010). 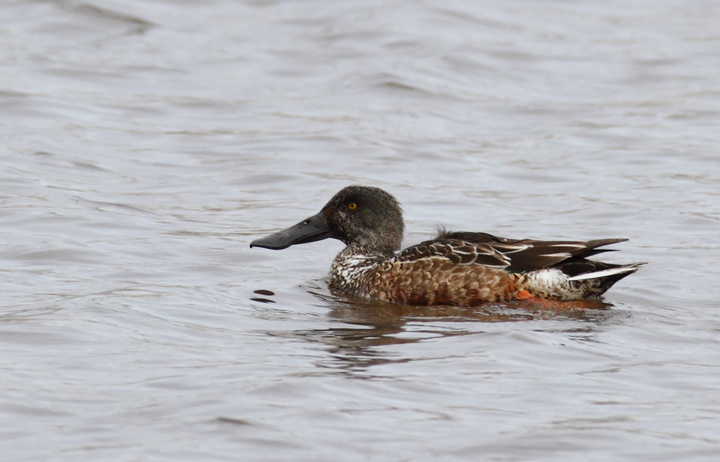 Below: Northern Shovelers at Bayside Development Pond, Worcester Co., Maryland (1/24/2010). 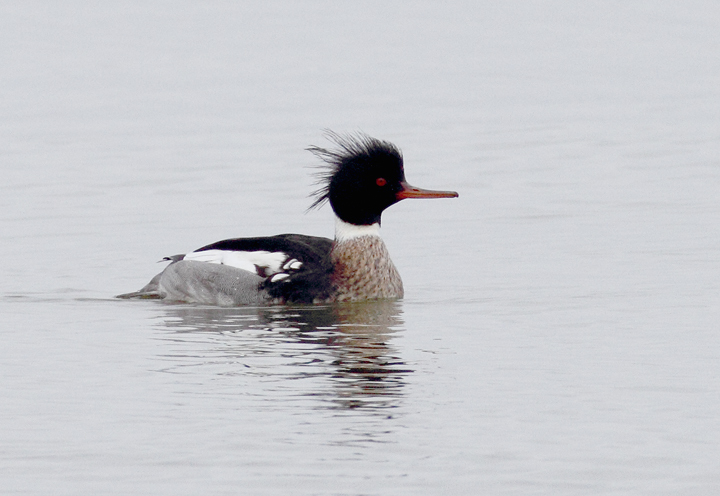 Below: A drake Red-breasted Merganser in Ocean City, Maryland (1/24/2010).